Sparkle Power! : Cookie. Flower. Bike. Today was a fun day. I made some chocolate chip cookies for the ward party this evening. Here's a shot of Sadie enjoying one. Dylan walked to the campus for his class this afternoon. He came home with these. A handful of flowers from the side of the road, complete with a few ants crawling on them. Such a sweetie. 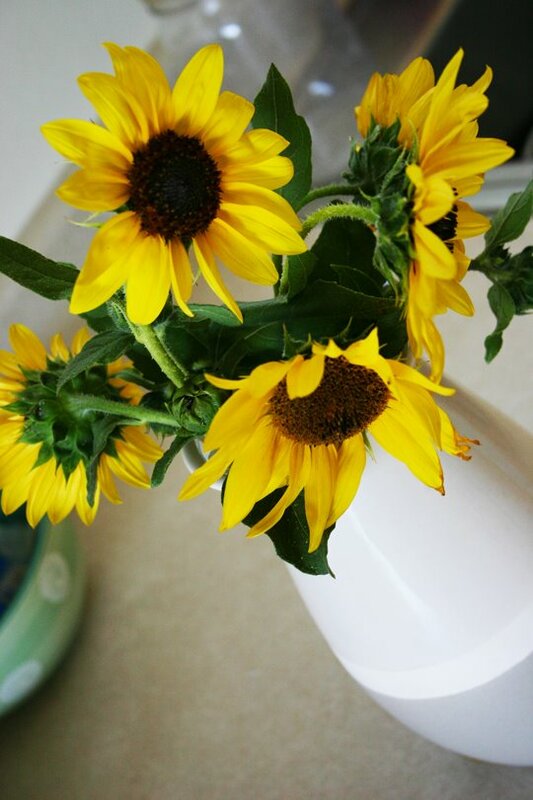 These really brightened my day. Finally got Sadie her bike today. She is completely in love with it. 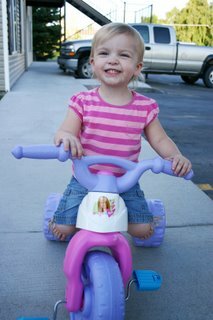 Her feet don't quite reach the pedals yet, but she scoots along pushing off the ground. We have been trying to hold off until her birthday for this, but I was just getting tired of hearing her say...."Mom! Kids! Bike! I ride it." In a real whiney voice. what a nice mommy day! Look how happy she is. Who cares if you didn't make it to her birthday. She is getting so big. Wow, what a big girl! Umm who is the blog administrator? YIKES! She looks so BIG!! 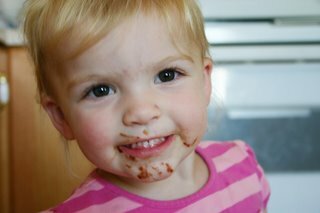 When Carson saw the first picture he said "her face is all dirty" so I asked him what it was & he said "chocolate".